Singing involves a variety of elements combined together to create a single action. You can't ignore a simple aspect, and expect to have full control, so every angle is covered in this book. 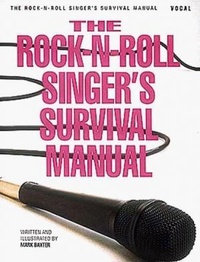 At first, the amount of information may seem overwhelming, especially for a Rock 'n' Roll book, but there is no need to read the book from cover to cover in one sitting. Read the sections you need, as you need them. There are four main sections regarding the health, maintenance, strength and flexibility of your voice. At the end of each quarter is a tip sheet for a "review-at-glance". If there is a specific question you need answered, turn to the back of the book. At the end of each answer, there is a page number where more detail can be found. You can approach this book backwards, forwards, or inside out, any way is fine.